Michigan Brewery Group Tours Are Hot! Used to be Michigan was only really known for brewing Stroh’s beer, but those days are long gone now that an explosion of excellent craft breweries has taken place and we now claim names like Bell's and Founders as our own. And even better is the fact these breweries can be found statewide from Marquette in the U.P. to Grand Rapids and Paw Paw, to Detroit to Lansing. When your group wants a fun and safe way to go brewery crawling, there’s no better option than an Indian Trails charter. If you’re not sure where to begin, consider one of Michigan's four “Ale Trails” as a starting point. 1) The Grand Rapids Ale Trail has more than 40 stops many of which offer not only great brews, but tours as well. Not surprisingly, Grand Rapids was Voted Beer City USA in 2012 and 2013, it’s home to Founders, the third-ranked best brewery in the world, and HopCat, voted both the #1 brewpub in the Unites States and the third best beer bar on the planet. Breweries offering production tours include 57 Brew Pub and Bistro, B.O.B.’s Brewery (aka The B.O.B. ), Brewery Vivant, Cedar Springs Brewing Company, Cellar Brewing Company, Founders Brewing Company, and more! 2) The Sunrise Side Wine & Hops Trail winds through the beautiful country north of the thumb and along the northern shore of Lake Huron. 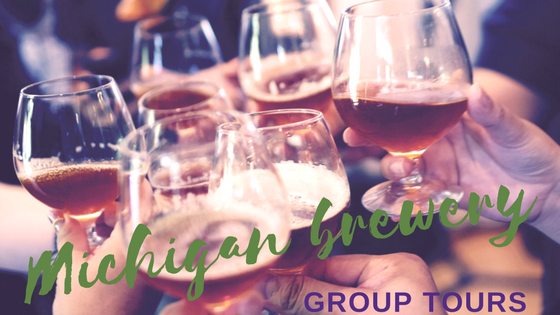 This tour is great for groups of mixed company (i.e., beer and wine lovers) and includes four breweries and eight wineries with additional attractions like a casino, a resort, shopping walking tours, lots of eateries and more. If you want to add more events to your tour, Discover Heritage Route 23 can help you maximize every day of your charter, including finding accommodations. 3) Southwest Michigan has long been revered for its wine production, so brewing is a natural addition to the area’s offerings. The area boasts the Maker’s Trail, which includes 14 breweries, 20 wineries and four distillers. Experts recommend taking in the Maker’s Trails over a three-day span to allow enough time for savoring your beverage(s) of choice, as well as pairings like cheese, smoked meats, fresh veggies, and even handmade chocolates. Open to the public in all seasons, the trail also offers great restaurants, as well as opportunities to take a yoga or art class, see a film, and listen to music. And of course, southwest Michigan has some of the most beautiful beaches in the world where you can just relax and enjoy the sound of the surf. 4) Traverse City has so much going on, but you won’t want to miss the Traverse City Ale Trail, a series of nine breweries in and around town from the downtown on Front Street, to the Warehouse District to the Downtown Old Town district to the TART Trail Historic Railroad District and beyond. One way to make it extra fun is to have everyone in your group get a free Traverse City Ale Trail Passport and get it stamped at each brewery visited. At the end of the tour, just return the completed passport to The Filling Station Microbrewery and get a free gift! These are just a few pre-organized options and since there are more than 150 breweries in Michigan, you can also build your own tour using our Itinerary Planning Template and get help booking a charter with our “Complete Guide to Booking a Bus.” Both are free to download and will make planning your trip quicker and easier!